In the wake of two lengthy and bitter judicial defeats in the effort to bring legalized sports betting to the state of New Jersey, two of that state’s legislators have introduced a bill whose long-term goal is to bring such sports wagering to the Garden State. However, in a twist designed to foil the ever-present threat of the US’s federal-level PASPA prohibitions, this bill comes with a twist: It seeks to carve a road toward legal New Jersey sports betting by first turning New Jersey into a wholly deregulated US state. This latest, Assembly Bill 4303 (A4303), was introduced by Assemblymen Ralph Caputo and Jim Burzichelli on Thursday. And as one can see in the preliminary framework of the bill, it’ll be an interesting task to both get this bill passed and make it survive PASPA scrutiny. “This is not a final bill,” Caputo said, to several outlets. “It’s a discussion piece at this point, but we’re trying to figure out how we can get this done. 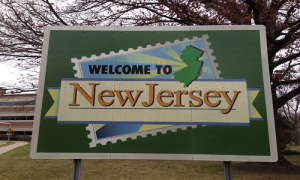 And it’s not going to be easy.” The bill has been assigned to the NJ Assembly Committee on Tourism, Gaming and the Arts, which Caputo (D-Essex) chairs. Burzichelli, who has sponsored or co-sponsored several previous pro-gambling bills, also sits on that committee. Here’s how A4303 is envisioned. 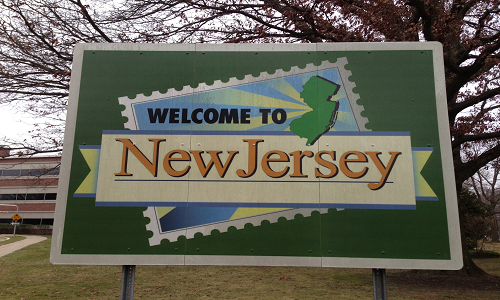 New Jersey’s previous attempts to enact the state’s residents’ wishes to bring legal sports betting to fruition have been stymied in the US federal courts, due to the US’s 1992 PASPA (Professional and Amateur Sports Protection Act), which we’ve reported on at length in previous stories. But amid all those court decisions, there’s a catch: Per a primary opinion from one of the earlier case’s judges, Julio M. Fuentes, PASPA only applies if a state attempts to actively regulate sports betting in some manner. It’s perfectly legal for a state to take all such regulations off the books, and make all such activity legal by failing to regulate or forbid it. Judge Fuentes also wrote that a state could then enact limited restrictions (such as forbidding such wagering in schools by children), though that area of subsequent limitations is surely where the future legal battle will occur. First, though, as long as PASPA is the US’s law of the land, is the need to deregulate. This “nuclear option,” as it’s often been called, is indeed the option the Caputo-Burzichelli bill will pursue. It’s going to be a tough sell, due to its “lawless” nature, and still faces possible legal challenges were it to pass. The bill would then amend several sections of New Jersey gambling law by stripping out all existing references to sports betting. However, in the initial and preliminary version of A4303, Caputo and Berzichelli have bracketed ([ ]) portions of text which they hope would be reinserted into law quickly after A4303 is passed. That to-be-inserted text is currently inside A4303, even though it would have to be pulled and put into a follow-up bill, which would then need to be passed separately. 1. The provisions of chapter 37 of Title 2C of the New Jersey Statutes, chapter 40 of Title 2A of the New Jersey Statutes, chapter 5 of Title 5 of the Revised Statutes, and P.L.1977, c.110 (C.5:12-1 et seq. 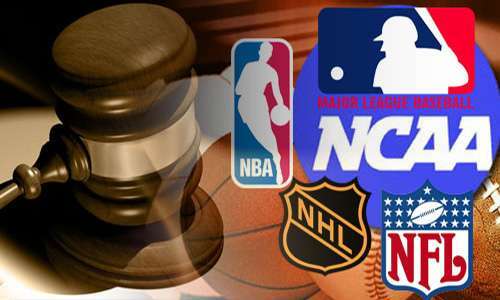 ), as amended and supplemented, and any laws, rules [and] , or regulations that may require or authorize any State agency to license, authorize, permit or otherwise take action to allow any person to engage in the placement or acceptance of any wager on any professional, collegiate, or amateur sport contest or athletic event, or that prohibit participation in or operation of a pool that accepts such wagers, are repealed [to the extent they apply or may be construed to apply at a casino or gambling house operating in this State in Atlantic City or a running or harness horse racetrack in this State, to the placement and acceptance of wagers on professional, collegiate, or amateur sport contests or athletic events by persons 21 years of age or older situated at such location or to the operation of a wagering pool that accepts such wagers from persons 21 years of age or older situated at such location, provided that the operator of the casino, gambling house, or running or harness horse racetrack consents to the wagering or operation. “running or harness horse racetrack” means the physical facility where a horse race meeting with parimutuel wagering is conducted and includes any former racetrack where such a meeting was conducted within 15 years prior to the effective date of this act, excluding premises other than those where the racecourse itself was located]. All the bracketed stuff describes exactly the locations and conditions under which Caputo, Burzichelli and most other New Jersey pols want legalized sports betting to occur. But getting it into law is the tricky part, and whether this path will lead to success, no one can say for sure. There’s a bit of a game of chicken involved as well. PASPA continues to come under increasing attack at the federal level, and if a measure such as this showed proise of passing legal muster, it could hasten federal legislators to rewrite or abolish PASPA themselves. No hearings have yet been scheduled for A4303, but we’ll be watching.